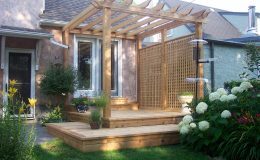 This beautiful river backyard begged for a warm, inviting, cozy space to sit back, relax and enjoy the fruits of their labor! 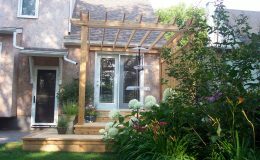 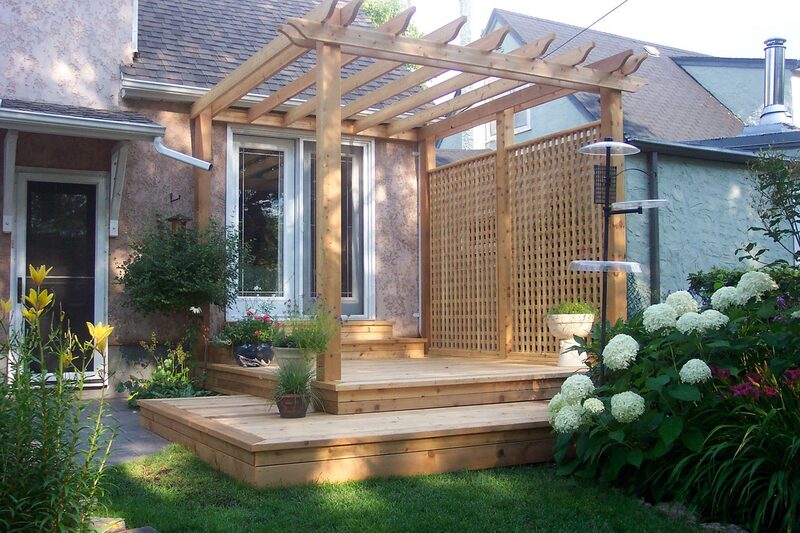 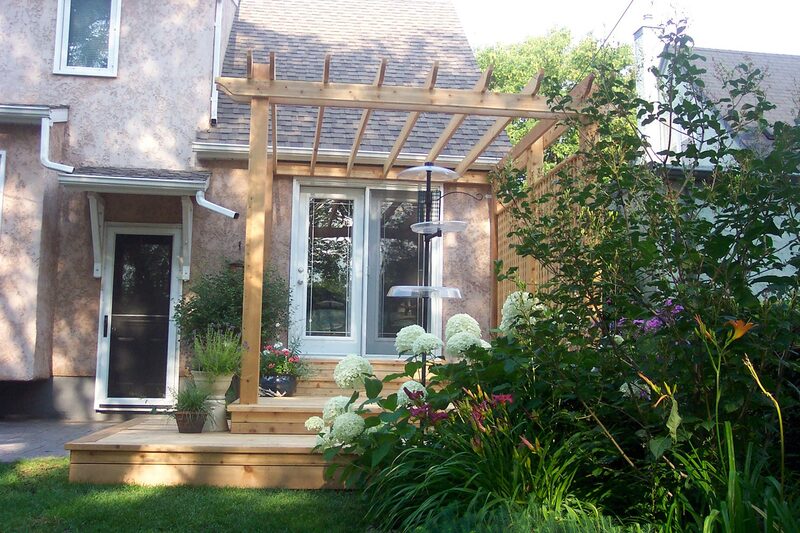 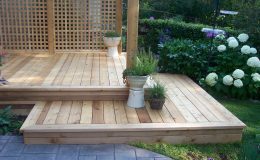 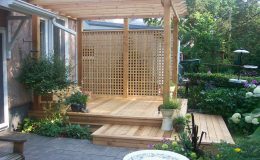 The deck and pergola is constructed all from cedar and the cedar lattice was site built. 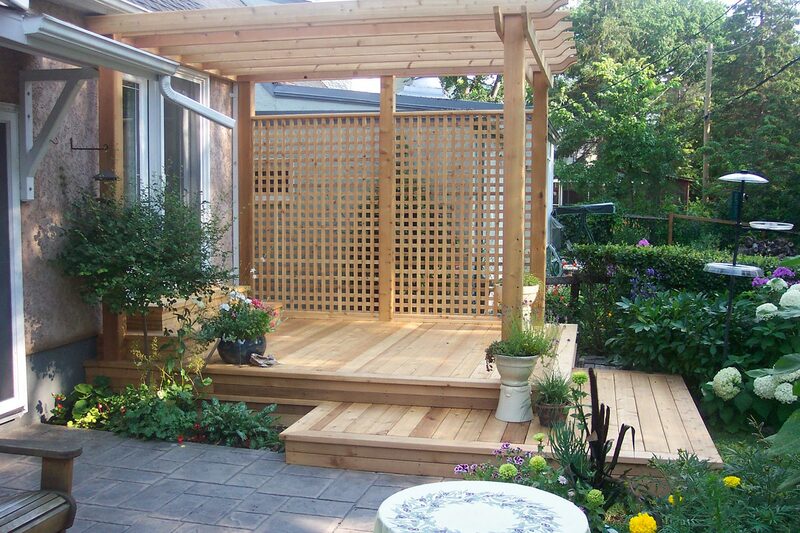 Large timber like posts instill a grounded, long life feel to the structure. Widened stair treads created a landing or deck effect to better transition down to the finished grade .